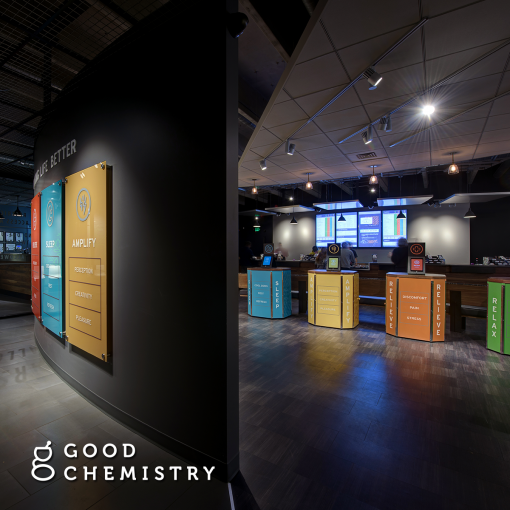 Good Chemistry has two Colorado locations, one in Denver and another in Aurora, and are planning to expand into Nevada. Their style is a mix of warm woods and sophisticated color coding to help recreational consumers find the right herb. Their four pillars denote effects like amplify, sleep, relief, and relaxation. Consumers can browse through mounted tablets to help them find strains prior to approaching the counter.